Samsung’s upcoming Galaxy Fold flexible smartphone-slash-tablet isn’t without tradeoffs. For one, it might be way thicker when folded than virtually any other modern smartphone – potentially as thick as a Nintendo Switch – while the way it folds is pretty awkward. And like its competitor the Huawei Mate X, it has a big old crease running right through the middle of its foldable display. 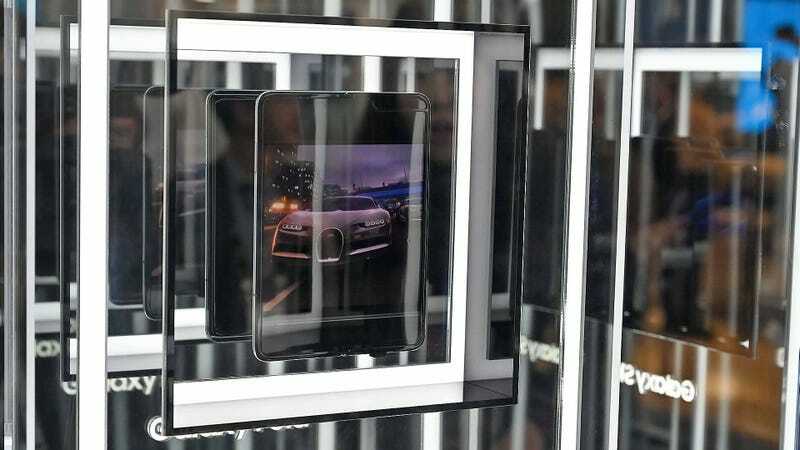 At the Mobile World Congress 2019 in Barcelona, reporters weren’t given hands-on access to the Galaxy Fold on display. Instead, Samsung opted to showcase the device in a reflective case that, intentional or not, made it as hard to observe the crease as possible. If it’s a bit difficult to observe from the photos above – Gizmodo’s Sam Rutherford described the showcase as “basically impossible” to take a good shot of, “unless it's from dead on” – additional photos from other angles uploaded by Phone Scoop editor-in-chief Rich Brome to Twitter make it clearer. This is a big crease! In a promotional image distributed by Samsung, no crease is visible – something more than a little reminiscent of that time Apple tried to hide the notch on its new line of iPhone X-based phones with conveniently obscuring wallpapers. 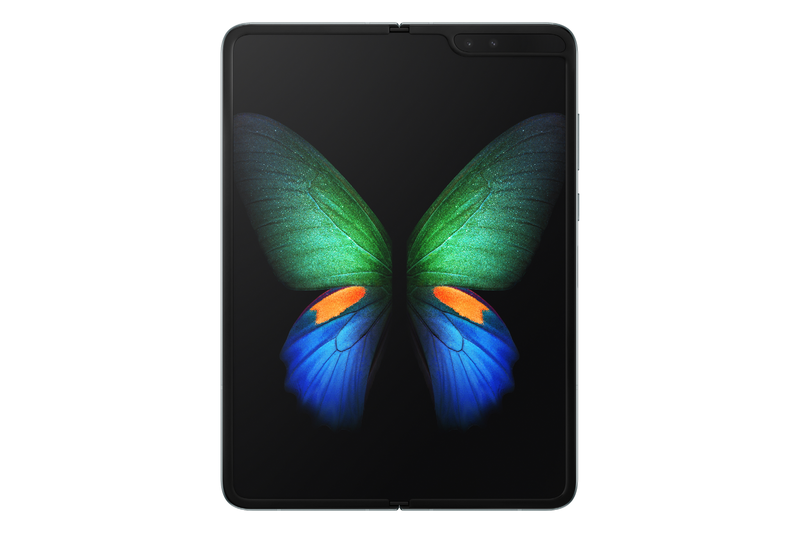 In fact, Samsung appears to have chosen an illustration of a butterfly’s wings specifically arranged to avoid crossing the creased part of the device. It’s clear that Samsung doesn’t want people obsessing over the furrow in the middle of the Galaxy Fold, which could give potential customers the impression that it will display a distorted picture. However, the Fold seen by Gizmodo at MWC 2019 looked perfectly fine when viewed directly – it’s only from acute angles (or perhaps when the light catches it) that the crease becomes obvious. In any case, it’s clear that a truly seamless foldable phone isn’t in the cards anytime soon. That’s to be expected, because the likeliest audience for these extremely expensive devices isn’t the mass market. It’s developers and niche consumers who really, really want a foldable device this year and aren’t likely to be put off by the expense or the pitfalls of early adoption. Still, please be aware that Samsung’s large, foldable son has a crease before shelling out that much cash. Sam Rutherford contributed reporting to this article.